H2Outreach is a graduate student‐led informal education group, organized and mentored by Water PIRE. 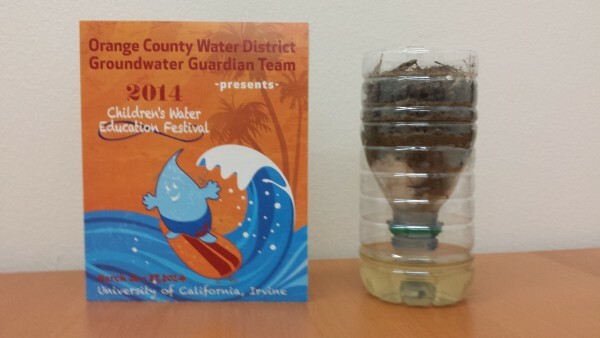 These students are developing their own outreach projects under the guidance of Water PIRE. Students are learning about outreach, science education, developing learning and program objectives, group work, executing projects, seeking independent funding, and intra‐ and interdisciplinary collaboration. Though this will be led by Water PIRE graduate students, undergraduate students and students from other schools here at UCI (e.g. biology and education) are encouraged to join to ensure activities developed are well‐rounded and multidisciplinary. Quick It’s Raining, Build a Biofilter! An interactive presentation to elementary school students about the importance of sustainable water management and the research this practice involves. Click here for more details. In a collaboration with The Academy in Santa Ana, high school student tutoring and mentoring programs are currently being developed and enacted. These are in early stages, but the goal is to have H2Outreach participants and volunteers assist high school students will their school work and be valuable role models after school hours and on weekends. For more information on how you can get involved please e-mail Dr. Janet Rowe, the Educational Outreach Coordinator for Water PIRE and advisor to H2Outreach.